This piece changed significantly in its making. I started out with some 606 drum patterns, synth bass, and a couple lead synth lines, and the piece headed toward being a house track. Then I got a few little synth/drone boxes and put them on, and then got the idea to layer a few Moog guitar drones with conventional guitar over the top, so I tracked distorted (Reuss RF-01) and non-distorted A, Em, and C chords on the Moog, modulating both the pickup balance and (Vox) wah cutoff, and then did a pass of conventional-but-sustained distorted melody lines. I next put down three tracks of Res-O-Glas through the EHX LPB2ube (on the Ableton side, Auto-filter with high-pass, and some with Cabinet plugin), some legato and some chordal lines. Then Epiphone P-J bass (EQ 8 and Cabinet). When I started putting up different channels, the earlier synth parts were out of place, and the drone synths were tuned to a different root note, so I ended up pulling those out. I shuffled around a lot of clips, dropped some sections out, and shortened everything by about a minute. Drums got Drum Buss and send automation. Sends: Two convolution reverbs (smaller and larger space), two echo plugins (one of which had LFO auto-filter in front of it). Everything got full-chain master, and MIDI channels got M4L Humanizer. Title from the fact that from 1907 to 1960, the red line of of cadmium's spectrograph was once the standard definition for the measurement of the Angstrom. Well, that certainly worked out concisely/nicely. Why did cadminum get ditched as the standard? Well, that certainly worked out concisely/nicely. Why did cadminum get ditched as the standard? Thank you, Jim! Looks like they redefined it to standardize along with the meter, which is defined in terms of krypton, for whatever reason. [quote=Jim Wood]Well, that certainly worked out concisely/nicely. Why did cadminum get ditched as the standard? [/quote] Thank you, Jim! Looks like they redefined it to standardize along with the meter, which is defined in terms of krypton, for whatever reason. 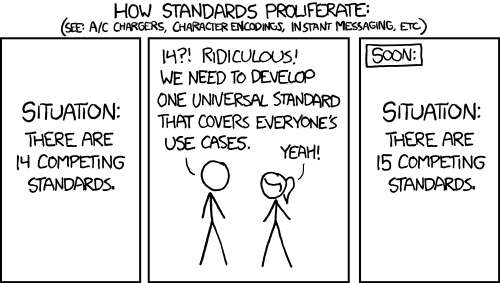 As someone once said, "the nice thing about standards is that there are so many of them." Strange journey to arrive at the final track but sometime the best work ends far from where you were starting. From the description, sounds like you were doing a lot of experimentation and seeing where it took you. The result is really cohesive and the guitars are super lush. A playground of different tones. But the bass isn't playing around. It's like a hired assassin. Always enjoy grooving to your bass line! I'm glad the journey ended where it did. Your style this year is very relaxing.